When Country & Stable approached me about reviewing a product, I hesitated. I work at a tack store that carries all sorts of brands and products, including some little-known European ones. But after browsing Country & Stable’s website, I found a wide variety of brands that were new to me! 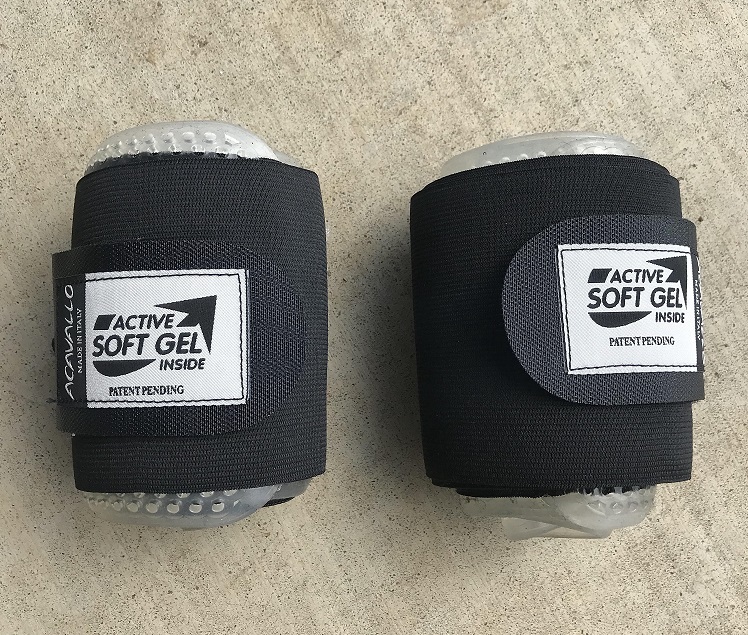 I chose to review a pair of Acavallo gel and elastic wraps. These are an intriguing product: essentially, a layer of gel is bonded to an elastic wrap. The gel provides shock absorption and support without the risk of slippage. The gel wraps can be chilled, too, making them unique among other wraps on the market. Neatly wrapped and ready to go! I typically use boots on my horses because they’re quick and easy to apply. While Moe and Gina don’t mind wearing boots, Candy dislikes them. 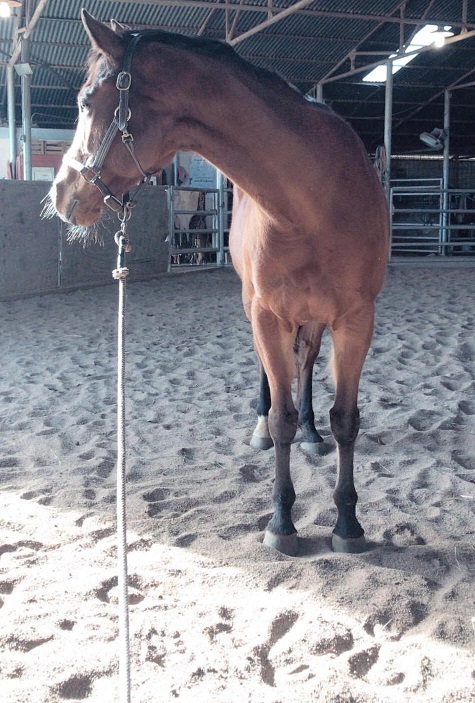 She often stops to rub her face on them while we’re riding; sometimes she rubs so hard she causes the boot to move! I thought wraps might be more comfortable for Candy, and I thought the gel might provided more protection than a normal fleece wrap. Country & Stable shipped the wraps promptly, and they arrived just a few days later. The wraps felt durable and looked like they were made from quality materials. I was a little concerned the gel would rip when I initially unrolled them. It’s thin and very stretchy and feels as though it’s stuck to itself. 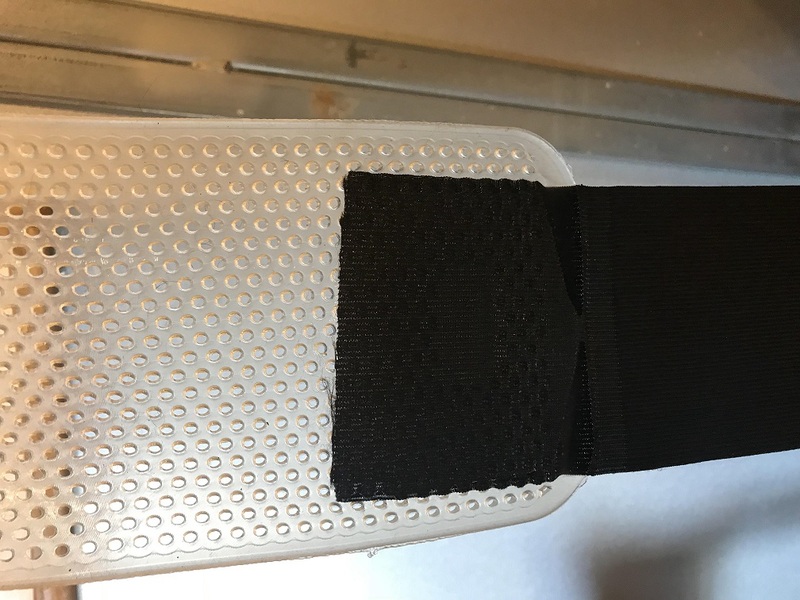 The gel didn’t rip, though- it stretched as I unrolled it and reverted back to its usual thickness and length when I finished. The gel and elastic parts are bonded without seams. There’s not much information available about how to apply the wraps. I assumed I would apply them like typical polo wraps, but there were no instructions on the product’s box or on Acavallo’s website. I settled on applying them as shown on the box- wrapping the gel part of the bandage around the leg and covering it with the elastic part of the bandage. It took a couple of tries to get them wrapped exactly how I wanted. I haven’t used wraps in years, so I’m out of practice! My wrapping skills are rusty! I had two primary concerns about the wraps: I worried that I’d get the wraps too tight and damage Candy’s legs, and I worried the gel would make Candy’s legs hot. The first few times I used them, I wrapped them too loosely. I noticed the elastic part of the wrap had shifted during my ride. Fortunately, the gel part stayed put and the wrap stayed in place. Once I became more comfortable with applying them, I had no problems with the elastic shifting. I experimented with freezing the wraps before riding, too. They were easier to handle when cold- the gel part didn’t stick to itself as much. They could be a useful tool to reduce swelling, either from an injury or a chronic condition. Removing the wraps is easy. 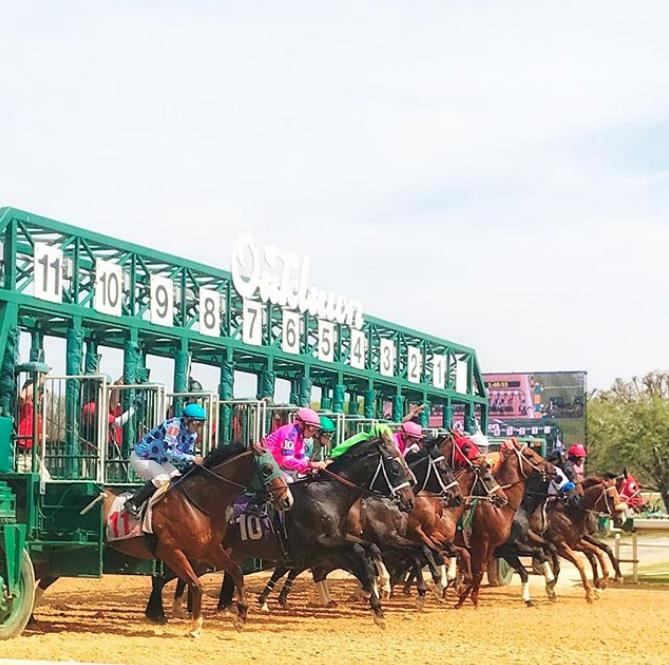 The gel doesn’t stick to the the horse’s hair or skin. While it does sort of stick to itself, it peels away without a problem. Candy’s legs are never hot after riding with these; I think her legs feel cooler than they do under boots. Candy seems to prefer these wraps to boots, and she doesn’t rub on them. The gel doesn’t add bulk, and I had no trouble getting the wraps smooth and even. Cleaning the wraps is easy, too. 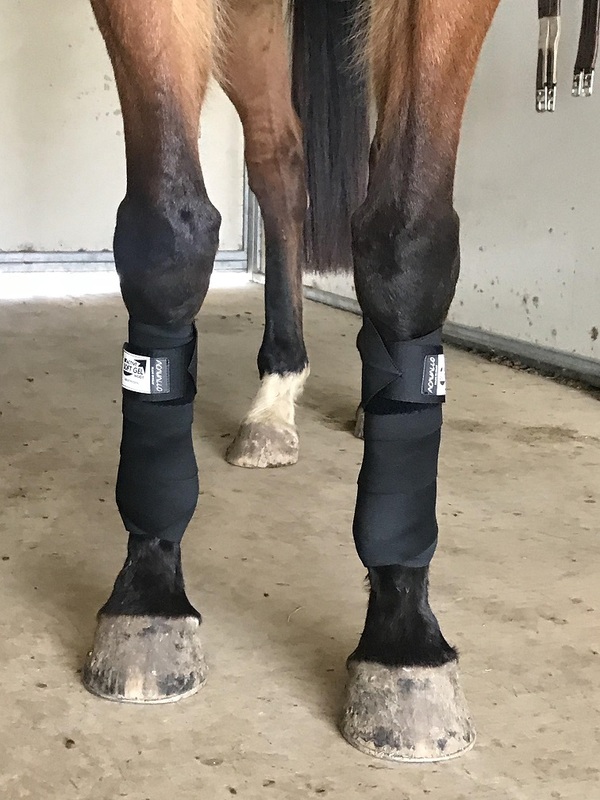 After a few weeks of use, my wraps were looking a little grimy from the sandy footing in the indoor arena. I tossed them in a lingerie bag, put them in the washing machine on the gentle cycle with Tide Free & Gentle detergent, and let them air dry. They came out looking brand new and ready to go back to the barn. Overall, I like these wraps a lot. They’re holding up well and are as easy to use as regular polo wraps. At $84.95, they’re in the same price range as quality dressage boots. 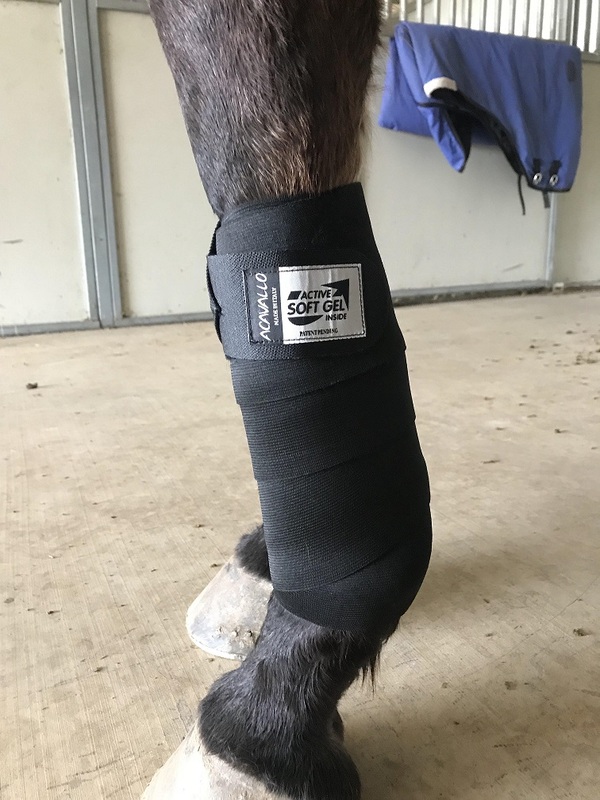 They’re an innovative alternative to boots for riders or horses who prefer a wrap. Country & Stable offers dozens of brands in addition to Acavallo that can be difficult to find in the US. 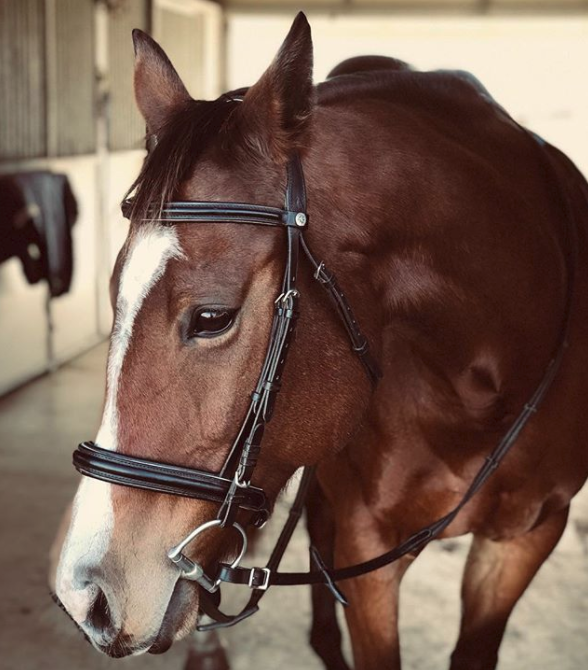 They offer free shipping to the US and Canada on orders over $100, making them a great choice for hard-to-find products your local tack shop can’t source. Are you a wrap person or a boot person? 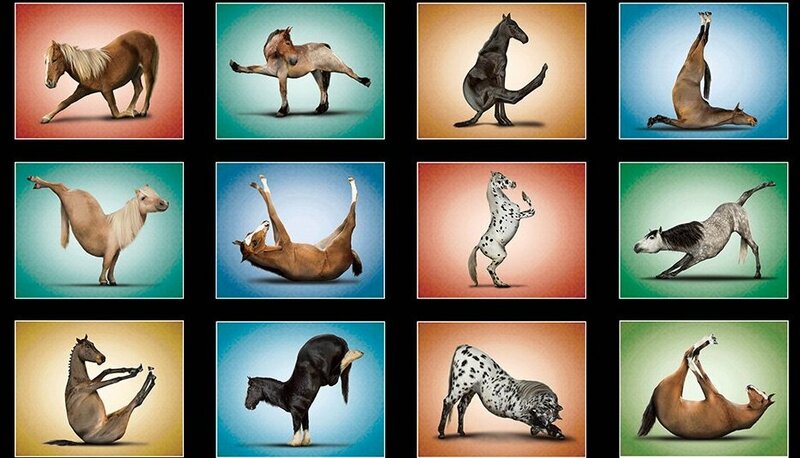 Does your horse seem to prefer one over the other?